Director of The Enable International Center for Paediatric Musculoskeletal Care, India. This interview with Dr Ashok Johari (ANJ) was conducted in Hotel Le Meredian. 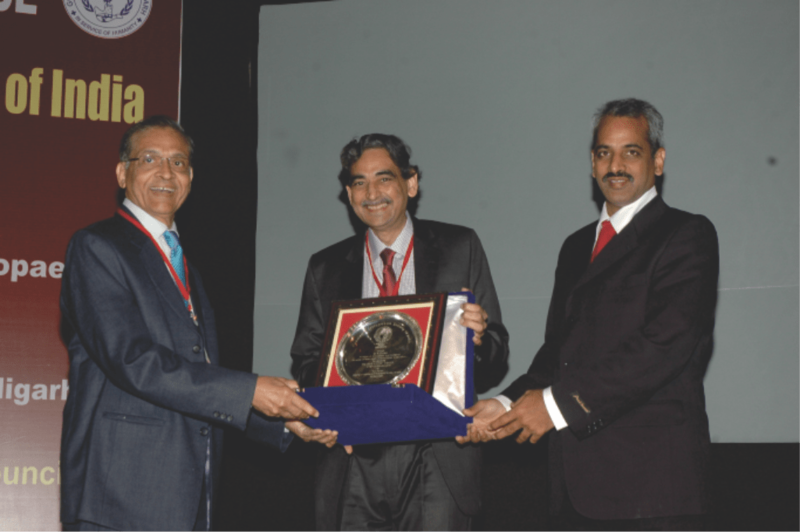 The interview was conducted by Dr Sandeep Patwardhan (SP) and Dr Ashok Shyam (AKS) on the second day of Pune Orthopaedic Society Annual Meeting in Pune, India. ANJ: No one was practising exclusive paediatric orthopaedics at that time. Dr Chacko was Professor at Manipal. He was a general orthopaedic surgeon but had special interest in Perthes disease. Dr Sriram was attached to Children’S hospital in Chennai but was doing adult work also. Besides that there were very few, like Dr B Mukhopadhyay who was doing lot of work in clubfoot. Dr Benjamin was working in Dr Chacko’s unit which did paediatric work along with adult work. I think our unit in Sion hospital in 1986 was first to do exclusive paediatric work historically. It was a small unit but did exclusive paediatric orthopaedics. 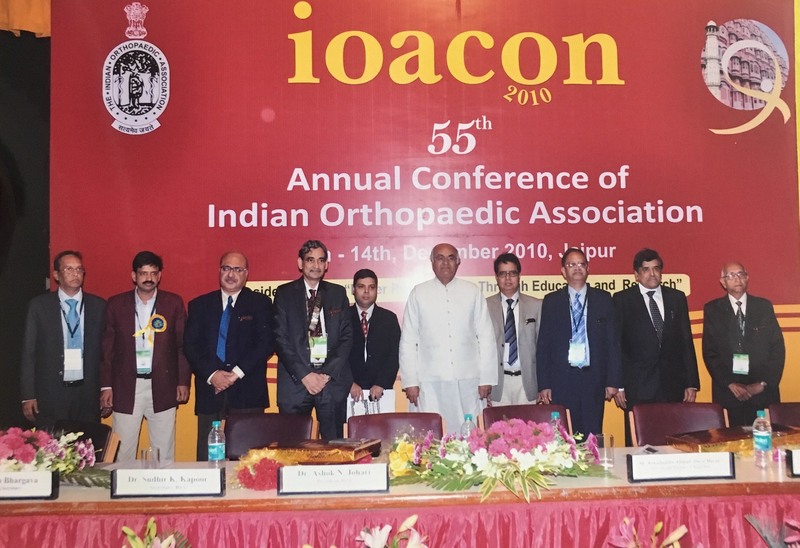 AKS: How did the idea of Paediatric Orthopaedic Society of India (POSI) came into picture? 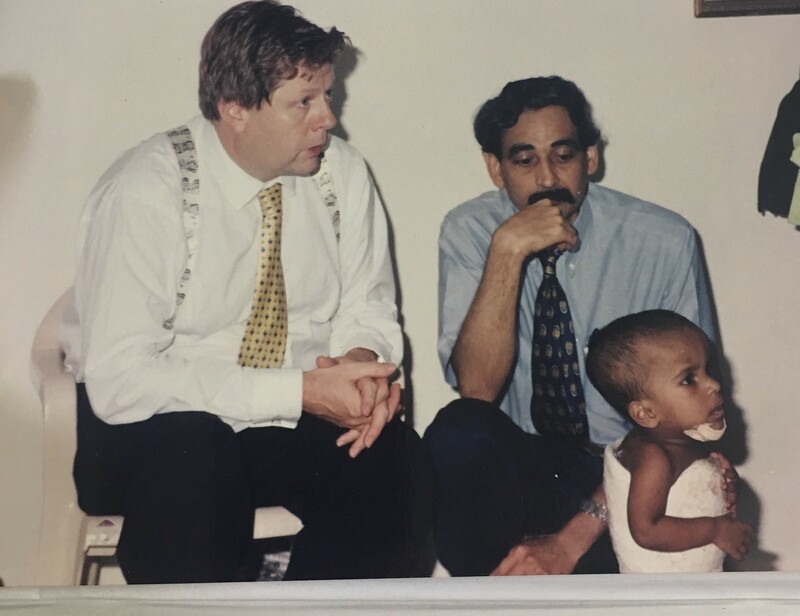 ANJ: I was meeting Dr Benjamin on and off in conferences and since both our papers were in paediatric orthopaedics we soon developed good rapport. We discovered that we are both very much interested in paediatric orthopaedics. While talking to each we realised that lot of general orthopaedic surgeons are interested in paediatric orthopaedics. We also realised that we need an organisation for paediatric orthopaedics in India. I knew Dr Benjamin earlier and had interaction with him in UK at Liverpool and other places. We had earlier discussed the idea a few times but it remained dormant. SP: So POSI did not have much influence from foreign societies like POSNA or BSCOS? It feels more like a de novo idea. 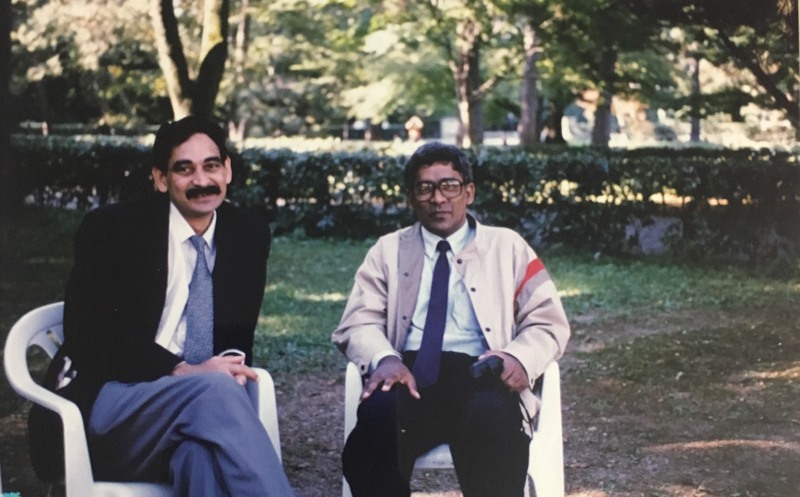 ANJ: Yes it was more of a de novo idea as we didn’t even know about POSNA in those days and influence of American orthopaedics in India was very poor. In those days we used to look at Britain for everything and had very less contact with USA. The British Children’s Orthopaedic Society (BSCOS) was not an organised society and their annual meeting was a half day meeting where they met at some place in London and presented papers. When I was there in UK, BSCOS was in its fourth year and was a very patchy society with no structure. So when we formed POSI, there was nothing much to compare. 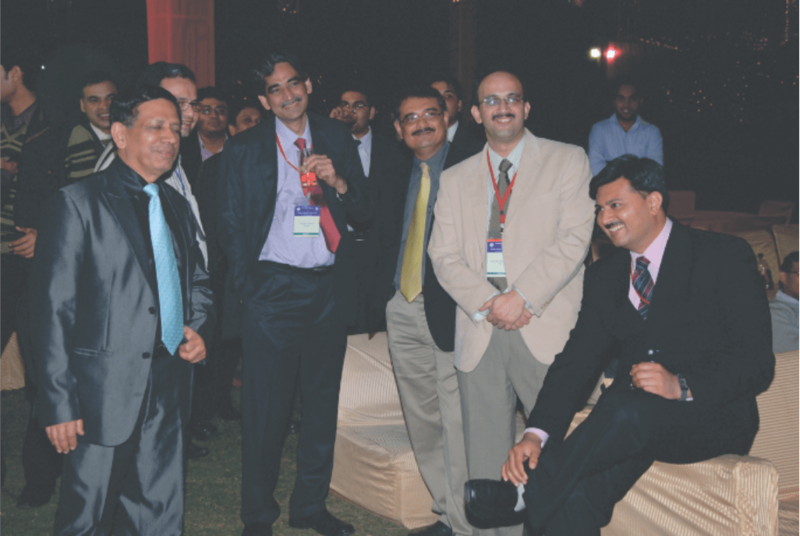 The only example we had before us was the Spine society, ASSI (Association of Spine Surgeons of India). 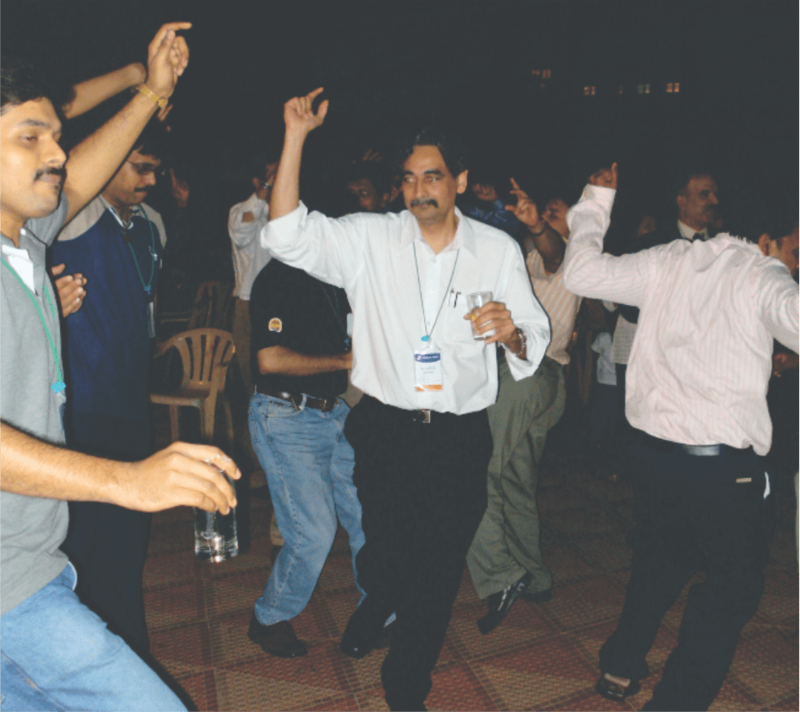 I remember talking to Dr Ingalhalikar who said he was going to meet Dr Dholakia as they were forming the ASSI. At that time Dr Ingalhalikar was my teacher and for him to think about making a society was fine but for juniors like us to start a society was quite unusual. But it all started with a good aim. 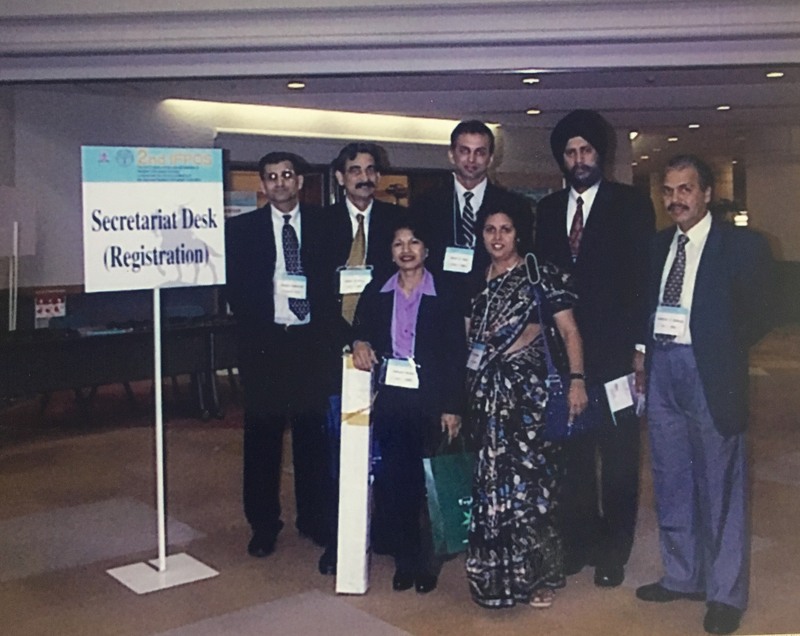 In the first meeting there were 37 delegates and one or two foreign faculty and we were the Indian faculty. It was a very homely meeting and everyone knew everybody. I was then the secretary of POSI. The next meeting was held in Chennai since Dr Sriram was involved. In Chennai also we had few foreign faculty. Next meeting I think the meeting was in Chandigarh with Dr SS Gill who supported us a lot. Eventually the standard of the meetings started going up very fast, specially the delegates got to interact with foreign faculty. People were getting exposure to foreign faculty and lot of them started going abroad too. I remember young surgeons like Taral, Alaric, Manish Agarwal got to interact with people like Dr Kaye Wilkins. Dr Wilkins was a great entity and he brought the paediatric fracture course with him. Eventually many members went to visit these foreign faculties in their countries and thus a to and fro learning process started. 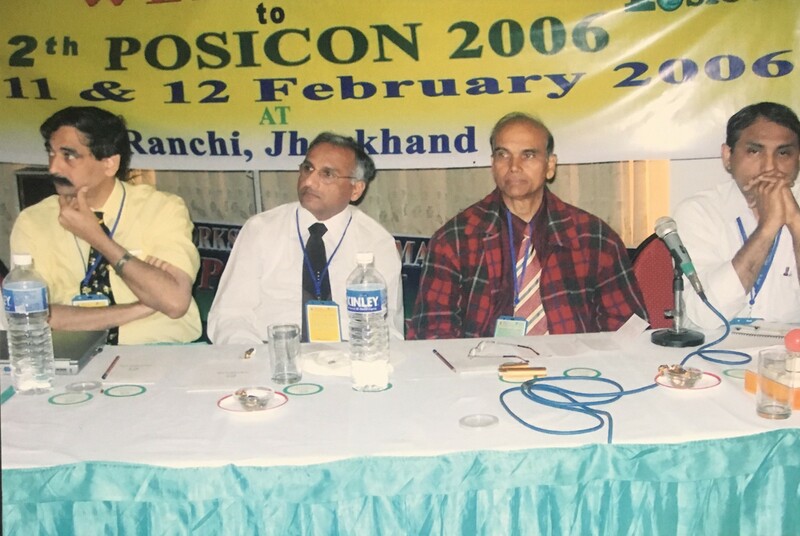 12th POSICON held at Ranchi, Jharkhand. 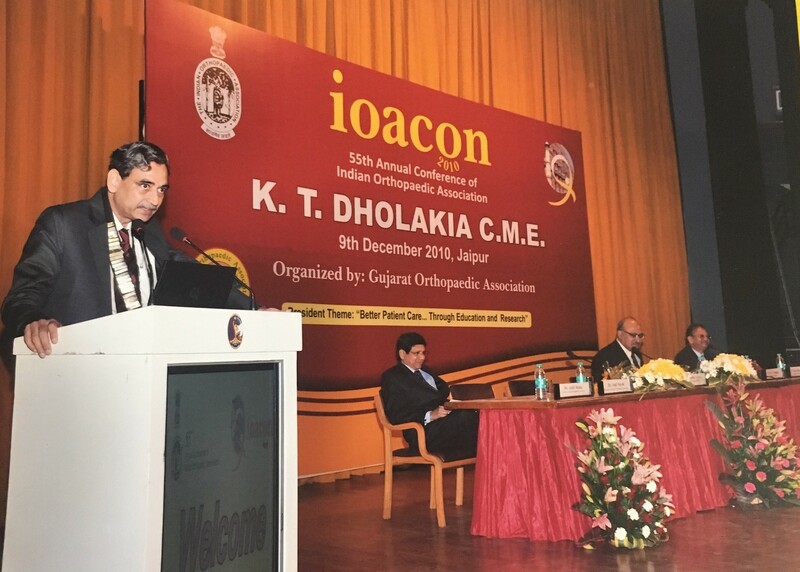 Dr Ashok Johari as President of POSI insisted on POSICON being held in smaller towns to create awareness about the speciality of Pediatric Orthopaedics. AKS: Do you still sing? SP: Sir, between you becoming paediatric orthopaedic and our batch of paediatric group there was a gap of 15 years. Why such a long gap? Does this change happen in spurts? SP: Probably you were the catalyst in developing paediatric orthopaedic at least in this part of India. I think you made it clear that this is a financially viable branch to pursue. ANJ: Yes, it was the thing of developing this specialty and that is why I shared the story of meeting my seniors who did not want me to do exclusive paediatric orthopaedics. They opined that a special interest in paediatric orthopaedic could be held but exclusive practise will fail. Here I remember the life story of Dr Katrak who was a general surgeon who went and did his Orthopaedic surgery and also FRCS and MCh. He came back to India in 1929 and was the HOD in KEM Hospital and also Wadia in 1930. In KEM he was running the general surgery department. Wadia hospital started the orthopaedic department and wanted him to head it. This was much before the department of Orthopaedics at KEM which was formed in 1945 and this was in 1931. In his memoirs, he has written, that though he was part of general surgery, he would not see any general surgery patients but wanted to see only orthopaedic patients. He has noted many difficulties that he faced, struggling and surviving. His colleagues did not support him and patients were not sent to him. All other surgeons were doing predominantly general surgery and some orthopaedic work and he was the odd guy who wanted to do only orthopaedics. 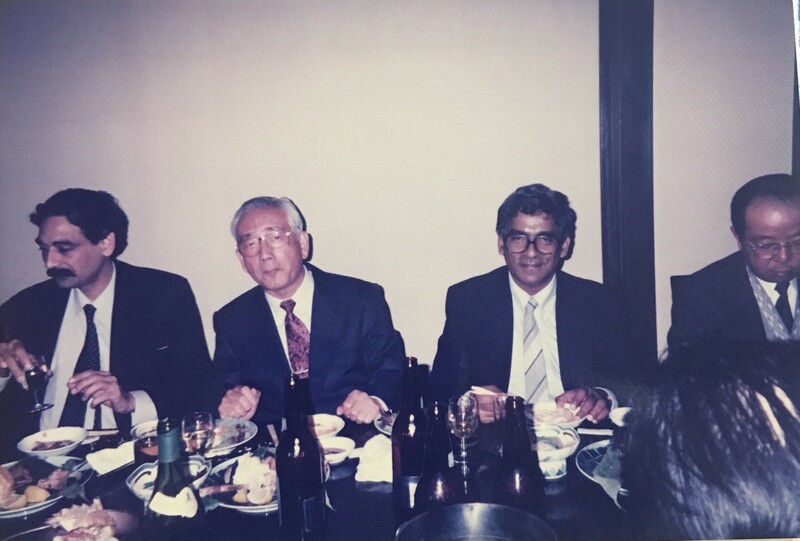 This took some time to change before the new generation of exclusive orthopaedic surgeons came up and almost 15 years later the department of orthopaedics was established in KEMH. I shared this to give an example of similar situation that happened and like Sandeep said it took a generation to build up. Inspiration goes from one generation to another. It’s very difficult to change the mind-set of contemporaries and it takes a new generation to establish new things. SP: So where do you think the direction of paediatric orthopaedics in India is going? ANJ: In our country the paediatric population is large and there are insufficient number of paediatric orthopaedic surgeon. General orthopaedic surgeons have to share the work with us, but they have limitations of their own. I think we can work on training the general orthopaedic surgeons to help them treat paediatric orthopaedic problems better. We also have to create and improve more paediatric ortho surgeons. Information about the speciality has to be established in peripheral and rural areas also. Till we can develop a strong team of paediatric orthopods, we can develop this system. SP: So how did the Americans’ develop the speciality of paediatric orthopaedic with dedicated hospitals and huge institutes? Was it a different thought process, was it philanthropy or they had history which was more than 100 years? ANJ: We have to take this by understanding the backdrop of development of paediatric orthopaedics in India, UK and USA. British did not believe in developing specialities. They believe that they had now treated the child’s hip and in future when the child develops hip arthritis, they should be able to treat them in adulthood too. In America, the first hospital in Orthopaedics was the Hospital for Special Surgery (HSS) which was then called the New York Hospital. It was started to look at special cases, like crippled children and those with skeletal anomalies. Then later it expanded to include other things. I think the scale of thought of Americans was large probably. I think they applied their mind to specialisation and specialist societies came up very fast. Why they would apply so, baffles me still. For example before POSNA there were precursors known as Paediatric Orthopaedic Society (1971) and Paediatric Orthopaedic Study Group . So they started quite early. SP: Do you think philanthropy played an important role in USA. Like the DuPont Centre and Gillette Centre of Cerebral Palsy? ANJ: May be and I think surely. Here in India, philanthropy is not really strong. Also priorities are different. As individuals we are very bothered of our children but collectively we are not. For example in 1987-1989, the Children’s Orthopaedic Hospital had a huge piece of land which I suggested to develop a Children’s orthopaedic centre. They were very much opposed to that idea. At that time, Mrs. Anita Garware, wife of Mr Garware, an industrialist, came on board of COH and she liked this idea. She tried different sources of philanthropy including Tata’s, Mahindra’s etc but ultimately it failed till recently. So even in the city of Bombay it was not possible through philanthropy. I think everything boils down to returns when compared to a cardiac hospital or a joint replacement hospital. So pure philanthropy did not come and I think this is failure of vision as it is an essential thing to take care of our children. At the same time big hospitals like Texas Scottish Rite Hospital for Children and others were coming up in USA. I am thinking hard of the reason but I think we were introduced to orthopaedic surgery much later when it had already developed into a branch catering to adults. Americans started orthopaedics to cater to children, so HSS also was started as a children’s centre. Probably this is one of the reason why paediatric orthopaedic developed fast and on a large scale in USA as traditionally they had children’s hospitals. Returning back to POSI, I am happy that it has become a viable and vibrant body. 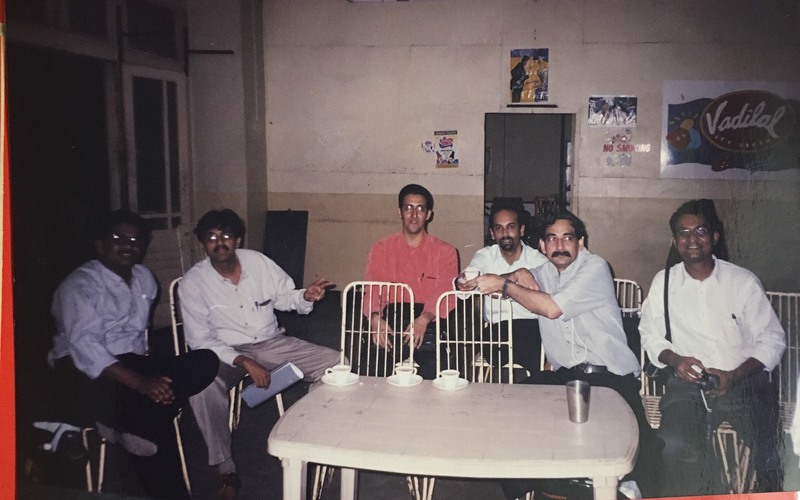 I was secretary for first seven years from 1994 to 2001 by which time we had 300 members. We were never keen on big numbers but we wanted people who joined to be interested in paediatric orthopaedics. 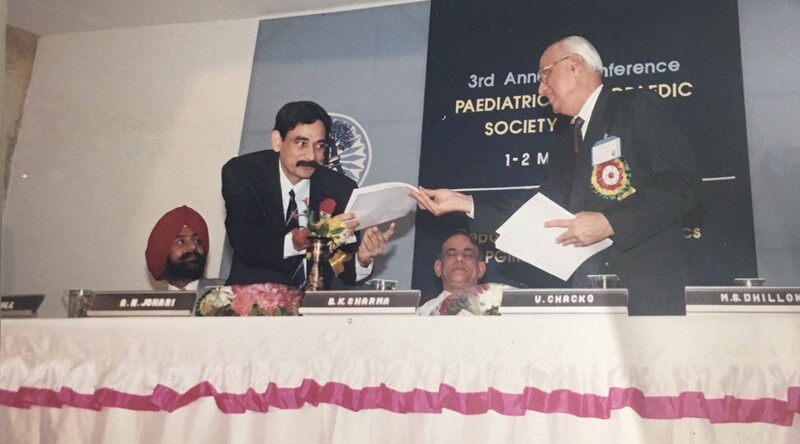 Dr Benjamin, when he first proposed the idea for POSI membership, included MS Ortho criteria, and experience in children orthopaedics for one year and also three publication in paediatric orthopaedic. It was difficult to convince him otherwise but finally we kept these criteria only for office bearers rather than members. This largely kept the body out of politics and maintained the academic flavour. I am happy that the body is growing very well academically and we have good meetings and good papers. The standards are going higher and higher every year. AKS: Sir, please tell us about your work with JPO-B? ANJ: I was on the editorial board of JPO-B much earlier. JPO-B was started by Henri Bensahel who was the founding editor from 1992 to 2006. The EPOS was the group which JPO-B was meant to represent. However, the journal was held by publisher Wolters- Kluwer and EPOS wanted to have its own journal. Bensahel stepped down for the same and publishers were searching for someone to replace him who had a good hold of academics, English and reviewing. Surprisingly I got a mail from the publisher inviting me to take up the job of Editor or recommend someone. I thought it was a good opportunity for us, especially for the Asian group. Although JPO-B was a European journal but I thought eventually it will extend to also represent Asia Pacific. Earlier the work load was not much and I worked for one year smoothly and they gave me a three year appointment and a second renewal was for additional 6 years. It has been good for us as it encourages publication from Asian side, also lot of European and American crowd still publishes in JPO-B. The number of articles has gone up exponentially, like in Jan and March this year (2016), I am processing around 200 articles. We can’t really cope with this load and have delays but the journal is going very strong. AKS: Any advice for IJPO? ANJ: I think IJPO has a different role to play. I think high level publications can go to journals like JPO-B specially when needed for promotions etc. I get desperate emails often for final result as promotions of authors hinge on these publications. But there is a need for a journal that is more practical and serves the general orthopaedic surgeon and educates them in good paediatric orthopaedic practices. IJPO can publish articles like technical notes and reviews which is very difficult in JPO-B as we have to give space to original articles. AKS: Thanks sir, IJPO is planned on these lines to become a more practice based journal with practical knowledge. Also IJPO is now indexed as per MCI criteria and articles published in IJPO are considered for promotions by MCI. SP: Any ambition for the next 10 years? ANJ: I simply want to review my work, publish more and do more research. Some of my own work is pending for years. I want to do something more for the younger generation in terms of education. ANJ: Yes, subspecialization will happen over a period of time but it will happen only when there is broader spread of paediatric orthopaedics in the country. It may take more than 10 years to happen. About paediatric centres, it is something to do with our genetics or mind-set. I think people don’t actually trust each other in this country, may be because of bad experiences. People may be all for humanity but many a times people are very self-centric. Probably because nobody reciprocates. If people are self-centric, it is very difficult to come together and then centres like that will be difficult. Even multicentre work and research becomes difficult. We should aim for changing this environment. The future orthopaedic surgeons should be open about their work, results and should be honest with each other. IF we can create this environment, nobody can beat us with the workload that we have. With our research we should be able to answer our own clinical problems. AKS: Sir, you have been part of many national and international bodies like IOA etc. What according to you is role of these bodies? ANJ: I have been through many association and realised that people come together for an event, possibly just to take lime light. What I find lacking is group of people sincerely working behind the scenes to develop the organisation. AAOS is great today because people are working behind the scene. Everyone takes their post very seriously and they have a system of audit and regular appraisal. For example in IOA, every president was inducting more and more executive committee members and at one time we had more than 100 EC members. I felt this was not good when only handful people were working. When I was President of IOA, I reduced the number of people in EC and many were not happy. But I think that is the way forward. This can very well happen in smaller societies rather than in a large society like IOA. AKS: What are your hobbies? ANJ: Right now I don’t have much time (laughs) but in the past I had lot of hobbies. I was a President scout with a golden cord and 48 proficiency badges and was troop leader for Bombay. When we attained proficiency in a skill say like cooking, we received one badge. My shirt was full of badges. I had the jungle goph, meaning I could survive in a jungle. I was in NCC air wing for three years. I had a pilot’s license and I would fly under supervision. I had learnt music. I was editor of the college magazine and also Research Journal of Grant Medical College Research Society. I attended special workshop for journalism. Drawing, painting and cartooning were also there. I had lot of extracurricular activities at the right time. I also did live the campus life in college with socialising and was acting GS for Grant Medical College. I was also a historian of sorts and did work on the history of Grant Medical College and life of Sir Robert Grant. I spent lot of time, around 2 months, digging up all the papers and articles from the Government’s archives about how the Grant Medical College was started a 150 years ago. I went through letters that were send from here to queen Victoria etc. I used to read lot of fiction in young age and used to finish books like Enid Blyton or Agatha Christie in a day. Also I was interested in philosophises like J Krishnamurti, Osho etc. ANJ: I have been affected by many philosophies but even now sometimes I go back to writings of Vivekananda and I am really impressed by his writings. He is not talking of mysticism but of practical life. J Krishnamurti spoke in lot of abstract terms. As a child I had met him when he used to come to JJ School of Arts. I had also attended Osho’s meetings. They were very learned people, especially Osho for his breadth of knowledge. I have read them and have enjoyed reading them. Vivekananda’s eloquence is exceptional and his writings are as if he is directly speaking to you. But yes, no particular philosophy, If you take my personal philosophy you may say Humanism, that is, to be good to people around you. AKS: I understand that you have been a very positive person, but do you have any regrets? ANJ: It’s always been a problem of call of duty versus family obligations. For example, if I have made a commitment long back and at the time something comes up in family where I am needed, I have always chosen my commitments. I have always taken my commitments more seriously as I think in the family someone can represent me. In that sense my personal life has suffered but I know we can’t be at everyplace every time. But I feel where I can be represented I can go with the option, but where I have to give a talk, personally conveying my message is more important. AKS: How do you cope with hectic schedules? How do you take care of your health? ANJ: Well by taking everything out of every minute. And about health I really don’t take much care about it. Family is always worried as I never take care of health, never sleep well. SP: If you look as Sir’s life he has lived it to the fullest. In the short span, the amount of accolades that he has gathered is so very impressive. Every minute he has made it count. ANJ: Yes, I always felt that, it’s not how long you live that matters but how well you live. How well means that whatever you have in your mind you can realise, achieve and accomplish. Somehow my accomplishments are not in building hospital or anything else. Mine are more of clinical and academic accomplishments which is something that I understand. AKS: How would you like the legacy of Dr Johari to be known as? ANJ: I don’t know if I will leave a legacy at all! I have studied the lives of many people in the past and very few were fortunate enough to leave behind any legacy. They were all big people in orthopaedics and not common orthopaedic surgeons. I think good deeds are always forgotten. Like good you did for your patients will be forgotten, probably they will remember for their life time but nothing after that. I am a firm believer that our legacy is through our students who will remember you. They may or may not acknowledge it. Like when I started in paediatric orthopaedics, the spectrum of problems I saw, I had nowhere to fall back on. I hope I was able to create a fall back for my students through my work in academics. But it’s difficult to leave a legacy and shelf life of legacy is becoming shorter. Also because so much of advancement is taking place, older techniques are replaced by new ones. Best is to live life to the fullest and when your job is done, leave. But that doesn’t mean you leave your work, do it to the best of your abilities. Many things that you do are circumstantial, but you had taken up the opportunity and made it work. SP: But even 100 years down the line people will remember you for starting paediatric orthopaedics in India and nurturing and developing it. AKS: The main purpose of this interview was to bring forth the efforts that likes of you have taken and be inspired by it. Like for example you told us about Dr Katrak today, of whom my generation has only heard about the Katrak oration in WIROC. ANJ: Yes Dr Katrak has actually written it down in a letter to Dr B Mukhopadhya where he describes his struggles in life. He was senior to Dr B Mukhopadhya and they might have met during some meeting. Dr Katrak was a very reclusive person and rarely socialised, but he wrote a letter to Dr Mukhopadhya and I got hold of this letter indirectly. In the letter he describes his life and the struggles he had. He said no one would support him and he had to go by public transport even after being an FRCS. He also writes about his first car where he mentions that after two years of practice, he could get a loan and buy a car to travel. There were very few surgeons in Bombay but since he decided to do only orthopaedics he had to face lot of difficulties. If he had started his shop as a general surgeon he would have done very well, but he underwent a trial to establish himself as an orthopaedic surgeon. So there are people who have sacrificed a lot for the speciality and they should be remembered. AKS: You must have come across certain misconceptions about ‘Yourself’ that are part of the folklore? Anything in particular you wish to comment on? ANJ: Sometimes colleagues are upset about my traits of meticulousness and perfection but I firmly believe in those qualities. It definitely reduces your output but once a job is done, you do not have to look back and revise and from the patient’s point of view, this definitely works well in reducing complications. AKS: What technical tips would you give for someone who has just embarked on his career as an Orthopaedic surgeon? ANJ: To be a lifelong student of the science and art of Orthopaedics. We are very lucky to be working in this field which is both a science and an art and our lives should embody the best of both! How to Cite this Article: AN Johari. 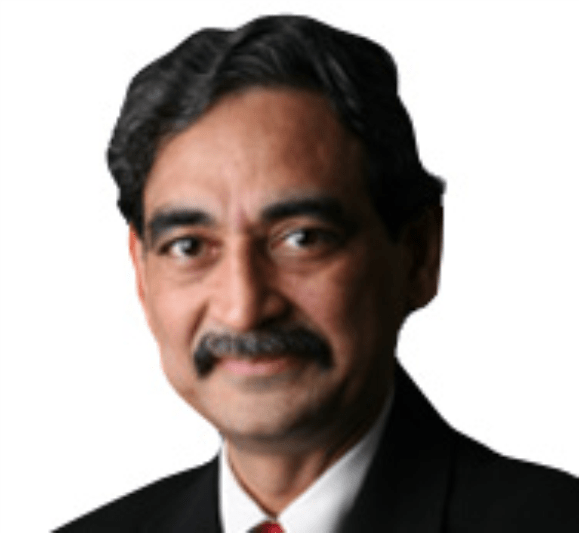 Dr Ashok Johari – A Unique Journey of a Paediatric Orthopaedic Surgeon. International Journal of Paediatric Orthopaedics May-Aug 2016;2(2):2-7.